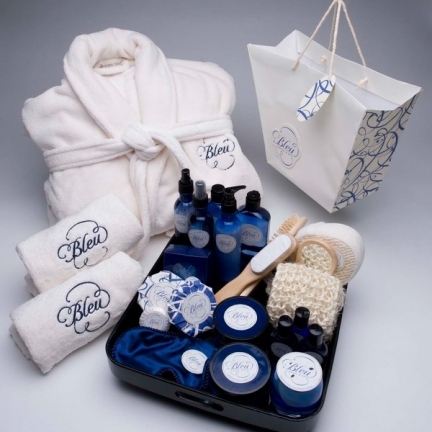 Bleu Hotel & Spa is a bid for a 5-star, boutique hotel and world-class spa, catering to the higher income bracket, manifested for the beautiful San Diego beach front. 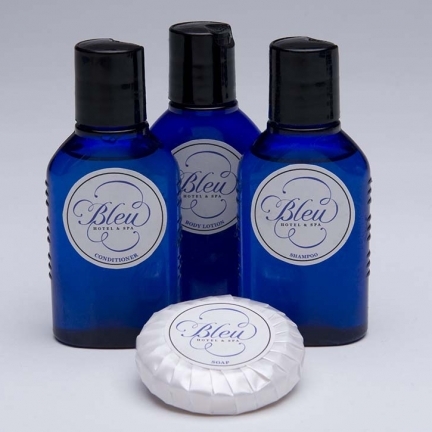 Providing a touch of France, Bleu (French for Blue) denotes its close proximity to the ocean. 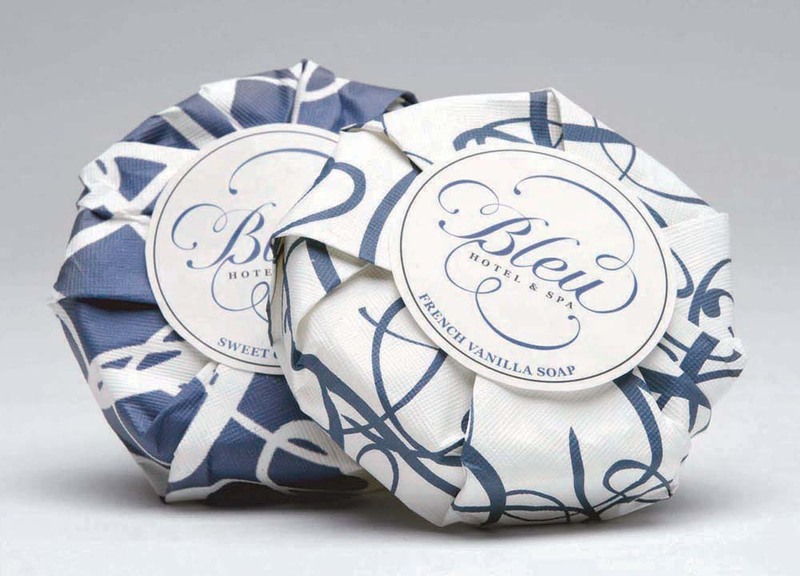 Using the Chateau font face and commingling decorative swirls and curves, the Bleu identity takes on a very elegant theme which conveys the Hotel and Spa as second-to-none. 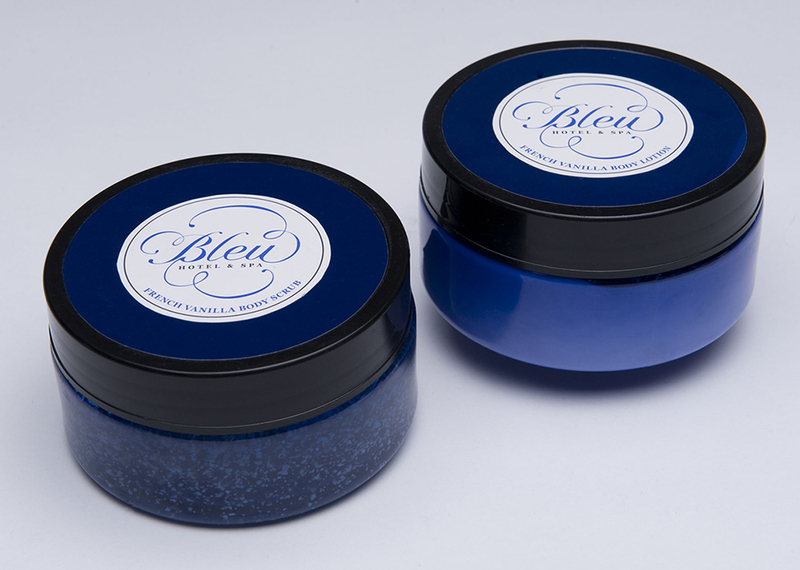 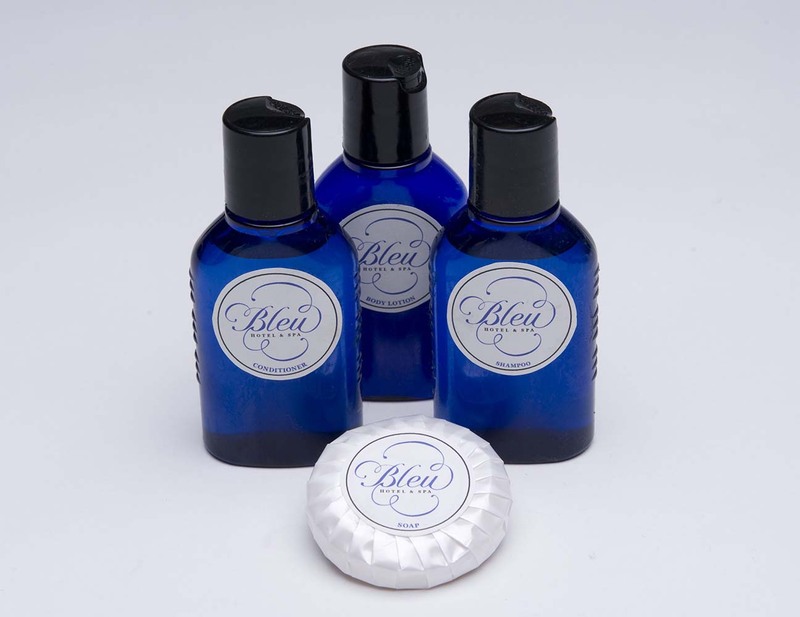 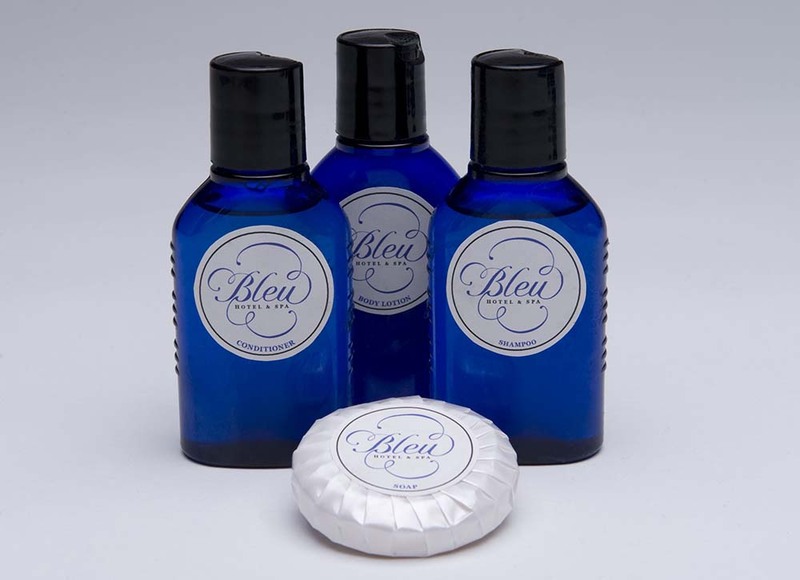 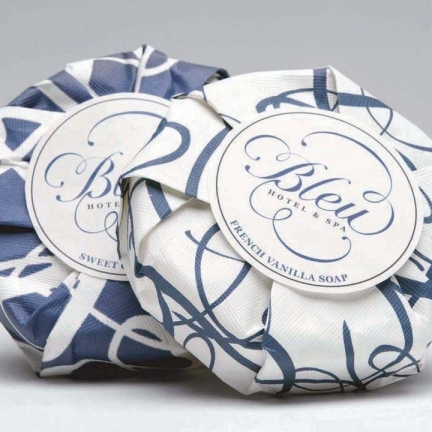 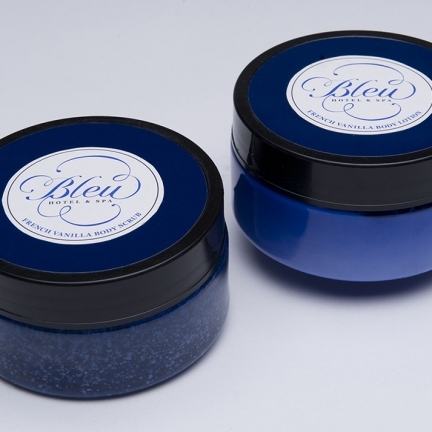 Branded with the Bleu logo, a variety of products are offered at the gift shop, as well as the gratis items available in the hotel suites and the spa. 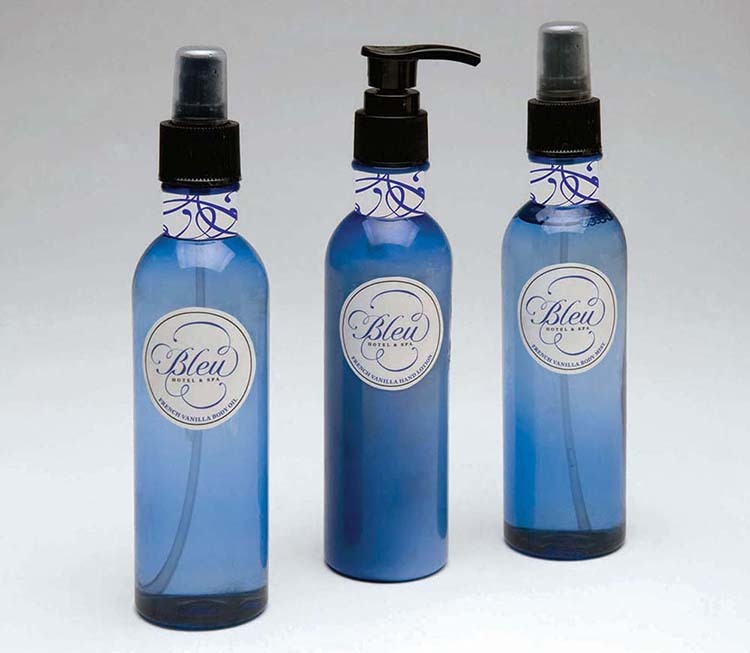 Various pictographs utilizing the same theme as the logo are available throughout the facility, indicating locations and whereabouts. 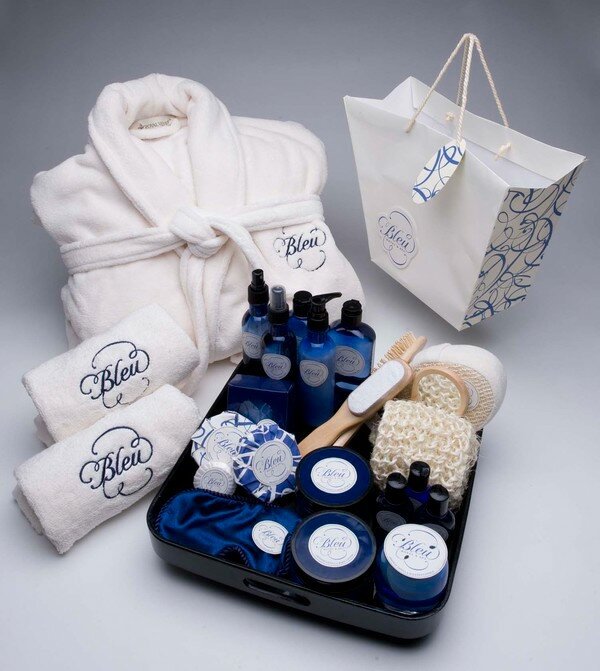 Incorporating the same theme throughout the Hotel and Spa consolidates the Bleu identity and gives it an aristocratic appeal.